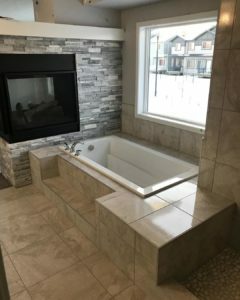 Looking to renovate my bathroom. What should I know before I get started? In what order do I do things? I have an old house built a long time ago and it’s time to renovate bathroom. How do I get started? Is it because you have to do a bathtub repair? 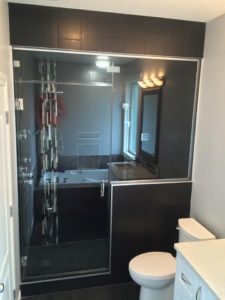 Looking for bathroom renovation ideas? Is it a good idea to hire a designer or just ourselves? 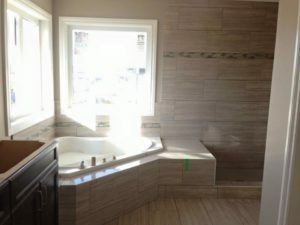 Wondering what the bathroom renovation cost might be? How do you know which renovation contractor to hire? 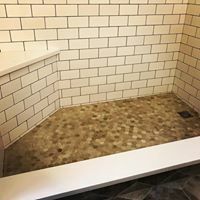 Maybe I am looking for info to help me decide if I should or should do a bathroom remodel? 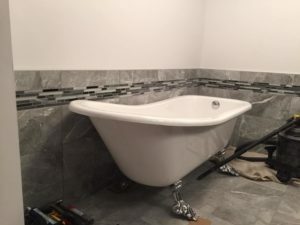 Search for and contact a general contracting company OR a bathroom renovating company like us (link to request a quote). and get yourself quote 2-3 quotes and go with the company you trust to do the job the most, NOT the cheapest, that doesn’t always mean that you’re getting what you want for the cheapest price. You may be disappointed when it is all said and done. The rest is pretty straight forward. 1- get your vision clear. 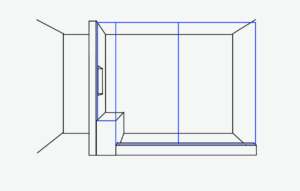 Draw the new bathroom. Helps to use a graph paper instead of lined paper. Most importantly are you changing the location of anything or just where it is, just all new instead. 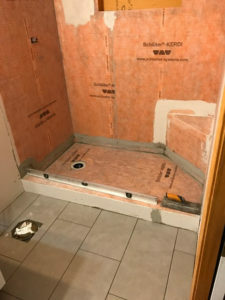 Where the toilet will be located, shower location, jacuzzi tub location (built in or self standing), vanity cabinet or pedestal, electrical, etc. Is the new floor area going to be tiled? Do you have enough underlay? 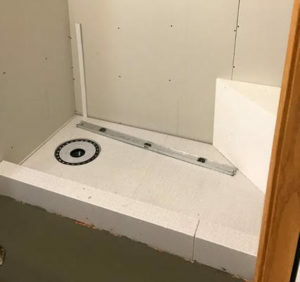 There are certain codes we tile setting companies need to follow in order to guarantee the length of the installation will last you. 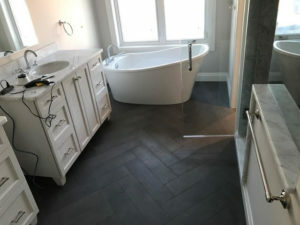 Next is the new revolutionary heated tile floor option. 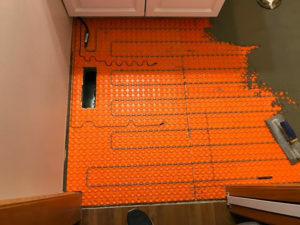 Once you go heated floor you never go back 🙂 Custmized areas for heat as well as split section with different heated settings. Inside the shower, on the bench, bathroom floor. We’ve done them all. Are you doing a standing shower? Will it have a fibreglass base? 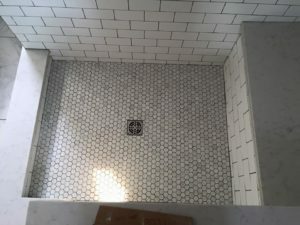 Or will you be doing a custom tiled floor shower. 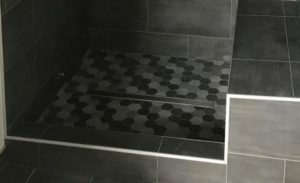 If tiled shower, you have the option of barrier less with lineal drain, or just center square drain. 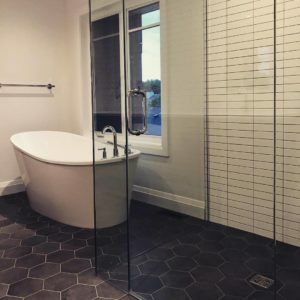 Looking to have a bench in the shower, triangular? Rectangular? How deep? 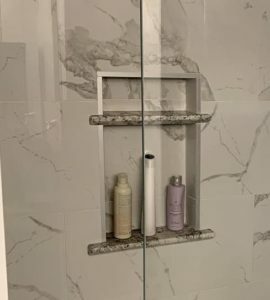 Will you have a niche in the shower for your shampoo and soap, etc. 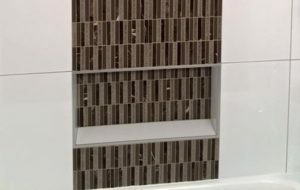 There are different sizes for this and an option for different tile as backing for an accent. Plumbing wise, there are plenty of options. Single function, 2 function, 3, 4, 5, 6? The sky is the limit. 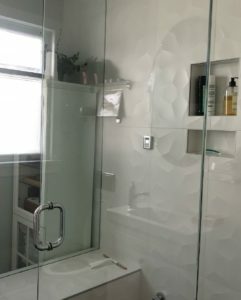 Together with functions you also have options such as jets, how many; waterfall top location, or regular shower head; handheld option with rod. 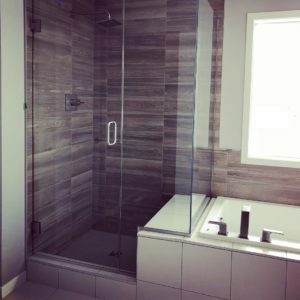 Are you interested in having a steam shower in your bathroom, that is also an option. Option for material on bench, barrier, niche. You could do tile, you could do granite, you could quartz. There are no wrong answers. 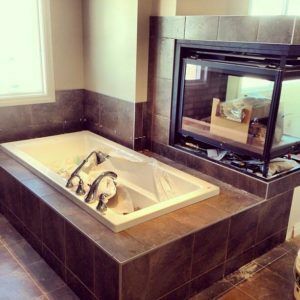 Will you be having a jacuzzi tub? Self standing? 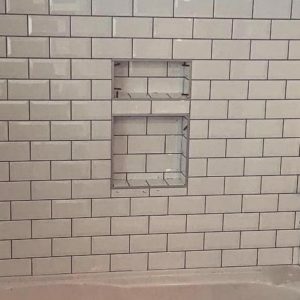 Built into a wall? 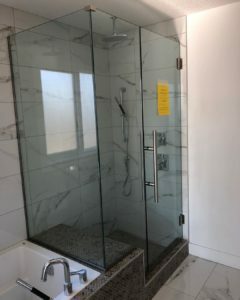 Next to shower? Vanity. Will it be a pedestal sink? Or a floating cabinet? Built in cabinet? Window. 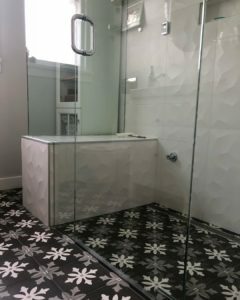 Are you changing location of the shower? Are there any windows on the way? If so, you have to consider changing the location of the window, what covering material you have on the exterior of the door. Will you be able to find the same material? Will you have to improvise. This could turn into a domino effect for the exterior of the house. Considering all the options we just went through, you have to consider the plumbing and electrical that goes behind all of it. 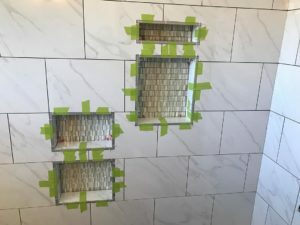 Location of the lines, is it a frost wall where you want the shower head/fixtures, the wall would need to be extended. Availability of space in the electrical panel for the new lines needed for heated floor. Waterproof spotlight in the shower. All things need to be considered when thinking about all of that. 3- You have now made all your decision. Get all your QUOTES for specialty trades. Electrical movement if any. Plumbing movement if any. Quote for all the tile work. Quote for bathroom floor covering. Quote for glass. Quote for window, exterior work. Get pricing for new vanity, counter top, faucet, shower, light fixtures, mirror, finishing trim for towel rack, toilet holder, etc. Let the fun begin. In what order do I do it all. Here goes the run down. Rip out all drywall and walls that will not be in the new bathroom blueprint. RIP our old tub / shower, vanity, and clean it all. Blank Canvas. *note: if you only have one toilet in the house, leave toilet in for as long as possible until you must remove. Cover all walls back up. 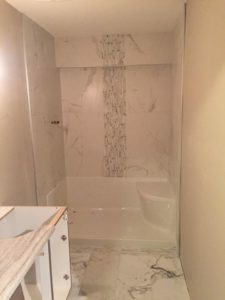 Install drywall where needed including new shower. Tape / Mud, finish and paint drywall. Come paint all window, door casing. 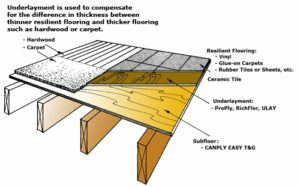 Get all floor prepped and installed. 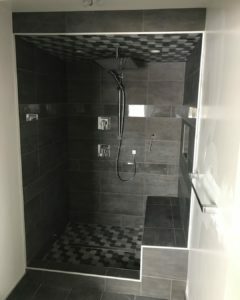 Shower waterproofed and installed and grouted. Install new Vanity cabinet / Pedestal. Counter Top Technician. To come measure the cabinet for final templating of the counter top. Plumbing. Finishing Stage. Finishing trim shower, vanity faucet, and drain line. Electrical. Finishing Stage. Plugs installed, and cover plate on. Light fixtures installed. Heated floor thermostat programmable installed. Painter. Come in to do all finishing touches. Paint touch up baseboard, casing. 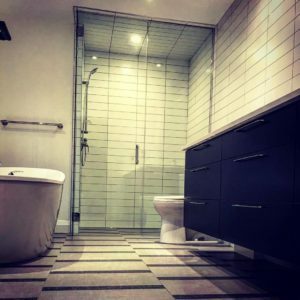 This entry was posted in and tagged ardex, Ardex 8+9, ardex x5, bathroom, bathroom reno, blog, custom building products, ditra, ditra heat, grout, jet, kerdi, laticrete, mapei, porcelain, prism, redgard, renovation, schluter, shower, steam shower, stone, thetileis, tile, tilesetter, valve, waterfall, waterproofing, wedi by admin. Bookmark the permalink.